Does South Africa have a real need? Donald Kaberuka, a former president of the African Development Bank, said: “In all areas of infrastructure services, such as… energy…there is a large gap when one compares Africa to the rest of the world.” When reading the research on the topic, a consensus view has emerged: Constraints on economic growth and poverty reduction in the African context arise from a lack of adequate infrastructure, with specific reference to transport, water and sanitation, energy, and ICT and communication networks. Not only does the lack of these types of infrastructure impact the lives of the majority of Africans, but it also negatively impacts the competitiveness of business. 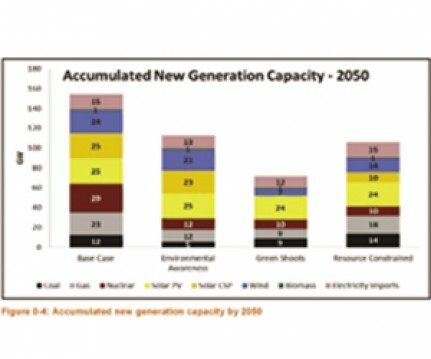 While IEP deals with both liquid fuel and electrical energy using a vast variety assumptions, the focus of this article is on the forecasted electricity generation capacity mix, with a particular focus on the inclusion of the 9.6GW New Nuclear Build programme and the future requirements thereof. 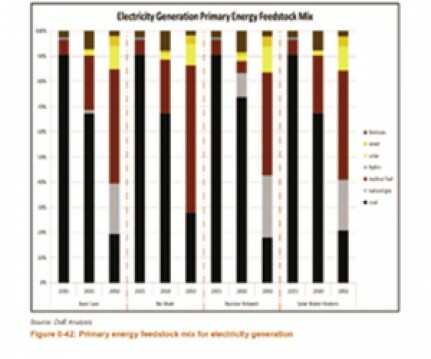 The IEP and IRP update aims to determine the optimal electricity generation mix from the following technologies: coal, nuclear, natural gas and various forms of renewable energy. They do this by running a variety of scenarios taking different macroeconomic, demographic, socioeconomic and resource assumptions into account. While our view is that nuclear is an important part of a diversified energy mix, it must be implemented at a time, cost and scale appropriate which would optimise South Africa’s energy generation mix. Given the structure of SA’s electricity sector, the conclusions reached in these documents will not progress beyond the paper it’s written on without Eskom playing a constructive and supportive role. The first unit was expected to be operational in 2011 but this only occurred in 2015. Without taking into account the increased interest expense incurred due to the above delay, the capital cost increased from R135bn (R80bn in 2007 money) to an estimated R190bn, both in 2016 terms. This represents an overspend of 40%. It is believed that the cause of these delays and cost overruns was due to Eskom’s rushed planning. Back in 2005, instead of designing the plant taking into account site specific factors, Eskom used the 20 year old designs of a power station in the Eastern Cape to construct a slightly larger power station based in Limpopo. Thus, no construction company was able to offer a turn-key construction solution as they were simply unable to take on the full construction risk. Instead of reassessing the situation after getting such feedback from the industry, Eskom decided to take on the risk themselves and unfortunately the risk materialised. The recent past doesn’t bode much better for such government programmes where Eskom under the Renewable Energy Independent Power Producer Procurement Programme (REIPPPP) is required to commit to purchasing electricity from Independent Power Producers (IPPs). In July 2016, Eskom effectively stalled the DoE’s globally acclaimed REIPPPP after refusing to sign any further power purchase agreements (PPAs). Various arms of government came out firmly against such a stance as it flies contrary to Ministerial determinations issued by Minister Joemat-Pettersson. Subsequently, and only after the Presidency weighed in on the debate during the most recent State of the Nation address, has Eskom agreed to sign the pending PPAs. Unfortunately the damage has already been done; the uncertainty caused by Eskom’s stance has caused industry players to pause and think twice before investing time and resources in upcoming REIPPPP bidding rounds. While part of the ideal solution to the above is for the Department of Energy (DOE) to manage the procurement of future mega-projects/programmes together with the specialist project finance skills from National Treasury (as was done for REIPPPP), this idea doesn’t seem to be gaining any traction: The Minister of Energy announced towards the end of 2016 that Eskom would be put in charge of the nuclear new build programme. There is however a possibility that Eskom has learnt from the mistakes made with Medupi; as in a recent interview, Eskom’s Chief Nuclear Officer, David Nicholls, made all the right noises with respect to how the process will be managed, emphasising: Transparency around the process, a turn-key construction contract and cost containment per kWh of between 80c and R1. We will only really know if these are adhered to as the procurement process unfolds. To address the concerns above, a possible solution would be to reduce Eskom’s monopoly in the electricity sector by breaking it up into separate entities in charge of generation, distribution and buying of electricity. This would ensure that the buying office buys from the least cost producers and that no cross-subsidisation between generation and distribution units occur. Unfortunately this proposal was taken off the table when the Independent System and Market Operator (ISMO) bill was dismissed by the ANC NEC in 2015. Eskom’s recent actions with respect to REIPPPP has highlighted the need for government to get Eskom on board with any electricity policy decisions made as they have the willpower and ability to frustrate the implementation of such policies. The DOE’s role is to set energy policy and Eskom’s role is to implement this policy. Is this a case of the “tail wagging the dog”? But without the above solutions being implemented, it is likely to remain the status quo. Coming back to the IEP, its main aim is to provide a roadmap for South Africa’s future energy requirements, which would in turn guide policy development and energy infrastructure investment going forward. It determines this through the use of scenario analysis, each of which have different assumptions regarding future energy requirements, economic development and policy impacts. Given current industry forecasts, these assumptions do seem to be overly optimistic. For example, in the recent 2017 budget, Minister Gordhan forecasts GDP growth to be 1% in 2016/17 to 2.3% in 2019/2020. By using inflated GDP forecasts, the resultant forecasted energy demand will be higher than what we would actually need, which could result in decisions being made to increase energy generation capacity to a level that our country does not need or can ill afford. 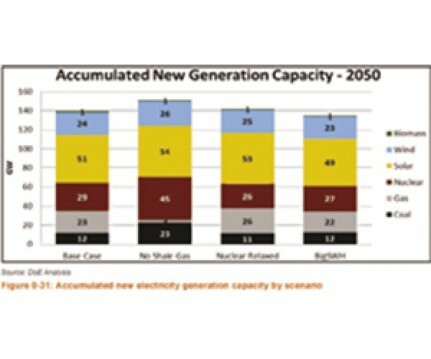 Taking into account the projected energy demands in each scenario, the accumulated new generation capacity (to be constructed by 2050) in each scenario is shown in image 1. In the Base Case, no new energy efficient capital investment improvements is undertaken while in the others these investments are done, which results in energy demand (and required capacity) in the base case being significantly higher than the other scenarios. The lower new capacity in the Green Shoots scenario is due to the reduced contribution to economic growth by high energy usage industries such as manufacturing and mining. As mentioned above, the base case assumes that the 9.6GW nuclear build programme will go ahead. In order to test whether this is reasonable, the IEP adds another scenario which is equal to the base case except the new build programme does not need to go ahead. Another two base case variations are added as well, namely that no shale gas is extracted and solar water geysers are more aggressively rolled out. The resultant accumulated capacity for the Nuclear Relaxed scenario is roughly the same as the Base Case as shown by image 2. But if you delve a little bit deeper, the timing of when new capacity is brought on line is markedly different, with nuclear being built much later and gas earlier. This is best illustrated if we compare the 2030 energy mix for the Base Case and Nuclear Relaxed scenarios, as shown in image 3. Interestingly, looking at the No Shale and Nuclear Relaxed scenario generation mix, it would seem that in order to not undertake the New Nuclear Build programme the country will need to fast track harvesting of shale gas in the Karoo. Alternatively, South Africa will need to rely on importing shale gas and have the cost of electricity exposed to global commodity prices. Getting back to the scenario analysis, translating the above costs to cost per kWh produced (in real terms) nicely illustrates what electricity generation mix decisions made today will have on the cost of electricity over the next 20 years, demonstrated by image 4. Given that the forecasting becomes more of a guessing game the further you look into the future, let’s rather focus on the next 10 years. Over this period, the least cost scenarios are the Base Case and the Nuclear Relaxed scenarios. In fact, there is a minimal cost differential between the Base Case and Nuclear Relaxed scenarios over the upcoming five years but on average, it would seem that Nuclear Relaxed is the slightly cheaper scenario over the next 10 years. The caveat here is that the GDP assumptions used in the Base Case are very optimistic. 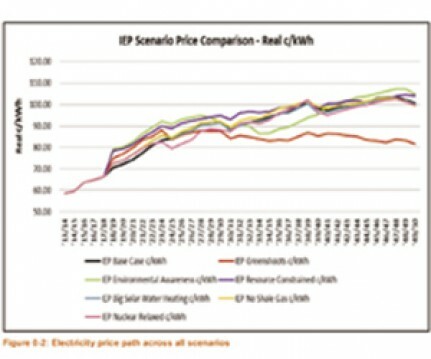 As a result, there is a strong likelihood that the IEP has overestimated future energy demand and therefore the required new electricity capacity and hence the push for nuclear energy. If this is the case, the belief is that decisions made today need to allow for the flexibility to adapt the energy mix in the (likely) event that energy demand is lower than expected. In order to do this, we should avoid committing to large capital intensive mega build projects such as the 9.6GW Nuclear Build programme, which will take approximately seven years to complete. The electricity generation industry is in a state of dynamic flux, where productivity and price per unit of energy generated for some technologies are dropping rapidly. By undertaking such a long and large build programme, we run the risk that we are not able to capitalise on these new developments as we are locked into completing the 9.6GW New Nuclear Build programme. For example, there are major future technological advances which may make storage for renewables cheaper than other base load technologies. We should be in a position to take advantage of these. We therefore should instead focus on smaller but still large utility scale projects (under 2GWp capacity), whether gas or nuclear or any other appropriate technology, which would allow SA to curtail the building of new capacity, if required, in order to not have an over capacity that needs to be paid for. To summarise, by not embarking on the New Nuclear Build programme, South Africa will have a flexible electricity generation industry which will be able to react to changing circumstances, all of this at no real increase in costs. 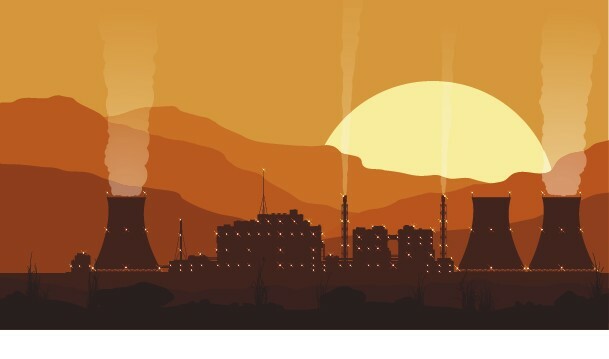 While nuclear energy does have a place in the South African energy landscape, we believe that it needs to be implemented at a later date than the IEP 2016 suggests. 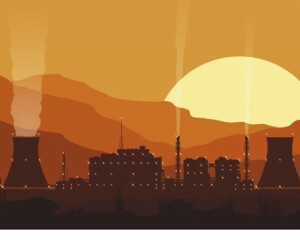 In order to avoid the pitfalls suffered during the planning of Medupi, and given the relative complexity of a nuclear programme, now is not the time to rush the procurement and planning of the 9.6GW New Build Nuclear Power programme. So the question remains: Why has Eskom issued the Nuclear RFP, are there alternative motives and for how long will the tail continue wagging the dog?